A blowout preventer is a valve intended to prevent uncontrolled release of a crude oil or natural gas from a well reservoir during drilling. Since this is a device of critical importance for crew’s safety, every single component of it should be precisely manufactured. A cylinder constitutes the piston chamber and guides the directed movements of the operating piston under hydraulic pressure. It has to withstand the pressure while ensuring the sealing of the BOP. 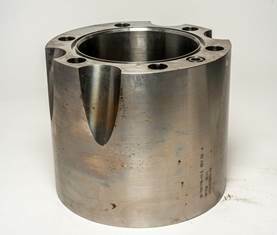 Setforge manufactures forged stainless steel cylinders for extra strength and best resistance. Manufactured with precision from experienced engineers, all our components meet the stringent requirements of our diverse client base. Farinia Group is internationally recognized as a trusted partner of the oil and gas industry.